Partnership available in my 2017 Minnesota Twins season ticket package in section 103, row 19, seats 21 & 22 (2 seats from the aisle and 19 rows from the field). Fantastic Lower Deck seats down the Right Field Line at $31 per seat ($62 total per game). These are some best seats in the stadium for the price with lots of foul balls and action. Available 13 game package and you get to choose your games as part of a draft to be held with other partners to determine game dates chosen. 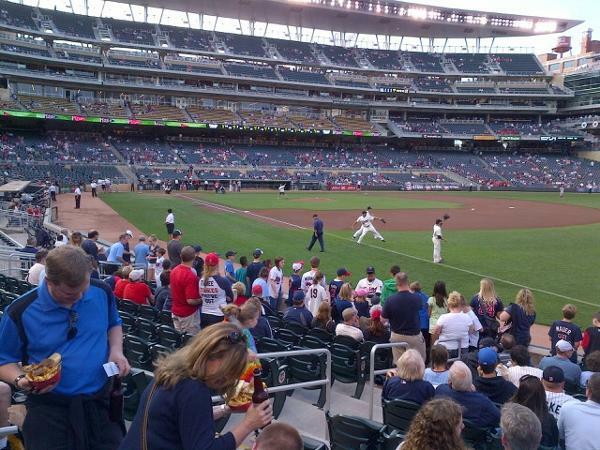 Tickets give you access to the Twins Metropolitan Club restaurant and bar. Also you get priority in my five other 2017 group games including the Home Opener. This listing has been saved by 43 people.